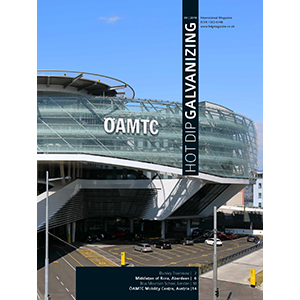 A key benefit of using Hot Dip Galvanizing is its durability. 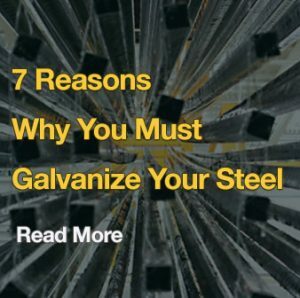 Data shows that galvanizing can provide between 34 to 170 years of protection for steel. One of the main atmospheric pollutants that affect the performance of hot dip galvanizing is Sulphur Dioxide. It is widely known that levels of atmospheric sulphur dioxide (SO2) have been falling for several decades. The results of the Atmospheric Corrosion Rate for Zinc demonstrate how the reduction in SO2 levels since 1991 has helped to increase the life expectancy of hot dip galvanized coatings. This has a particular significance for those with the responsibility for sanctioning construction projects where whole life costs, longevity, and maintenance are important considerations. The most important contaminant affecting zinc is sulphur dioxide (SO2) and it is the presence of SO2 which largely controls zinc’s atmospheric corrosion rate. It is widely documented that atmospheric SO2 levels have fallen significantly in most countries over the past decades. 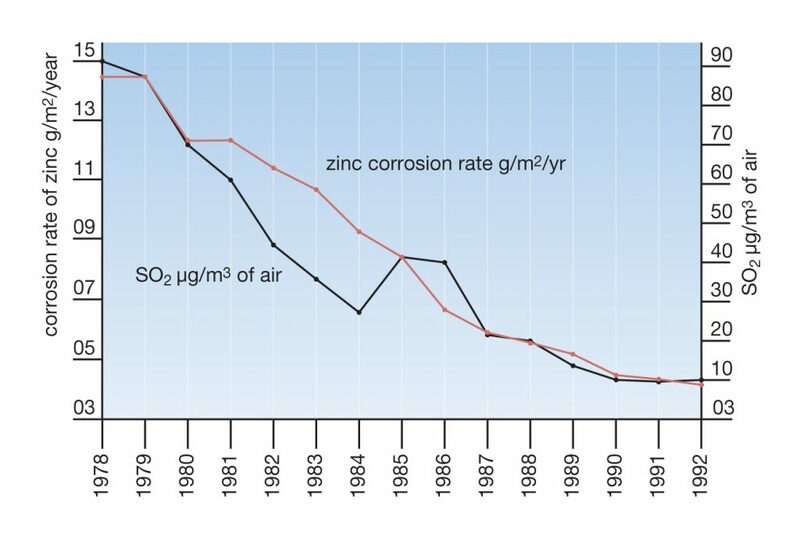 Reduction in sulphur dioxide levels in Stockholm since 1978 and accompanying decrease in corrosion rate of zinc.